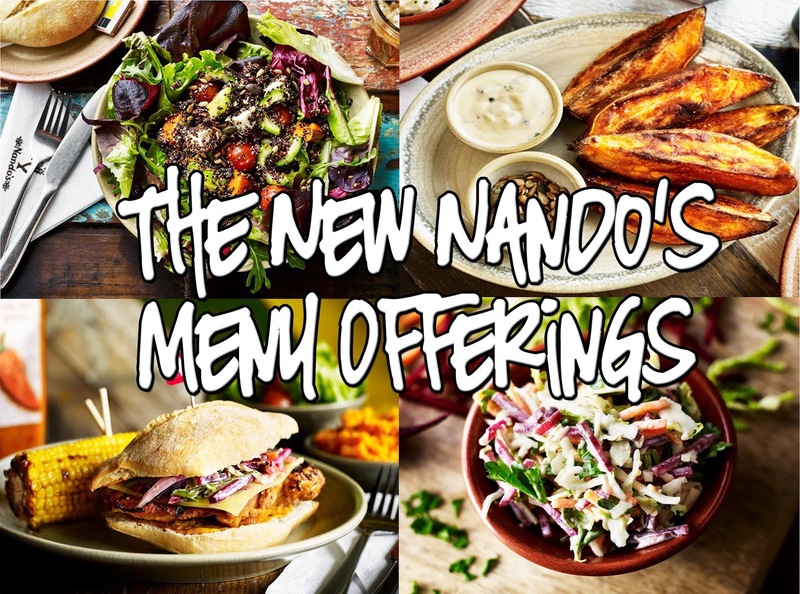 During the week it was announced that Nando's are giving their menu a bit of an update. Nando's is definitely one of my favourite places to eat, although sadly I have to travel to Cork or Dublin to enjoy it. If anyone from Nando's reads this, a restaurant in the South East would be much appreciated! I didn't think the menu could be improved but after seeing the new dishes that will be available next week, I am very excited! Apologies in advance if this post leaves you hungry and dribbling! Up first is the Churrasco Thigh Burger, a sweet and smokey burger with flame grilled boneless thigh fillets in a Portuguese roll featuring their new crunchy Fino Coleslaw which is also mentioned below and cheddar cheese and some churrasco PERinaise sauce. This burger looks absolutely mouth watering and I can't wait to try it! 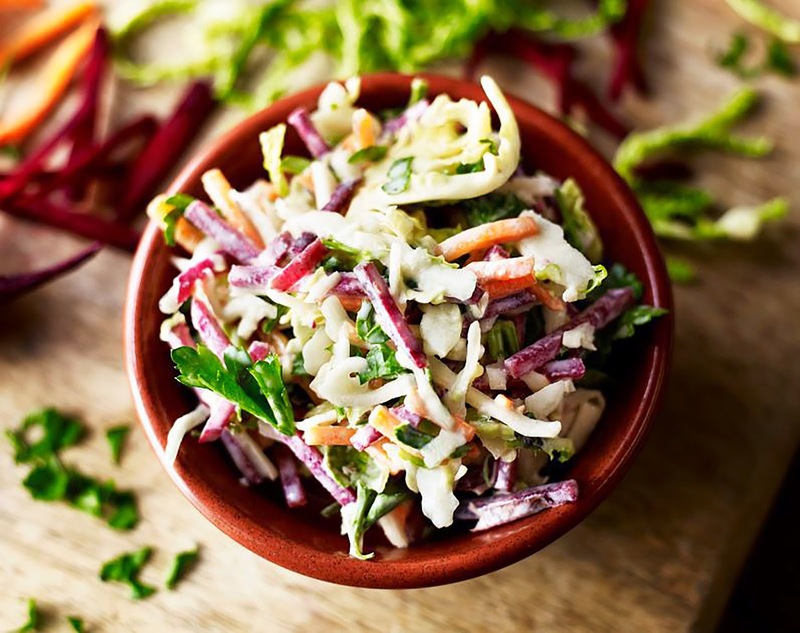 As mentioned above, Nando's have upped their Coleslaw game and this Fino Coleslaw looks divine! 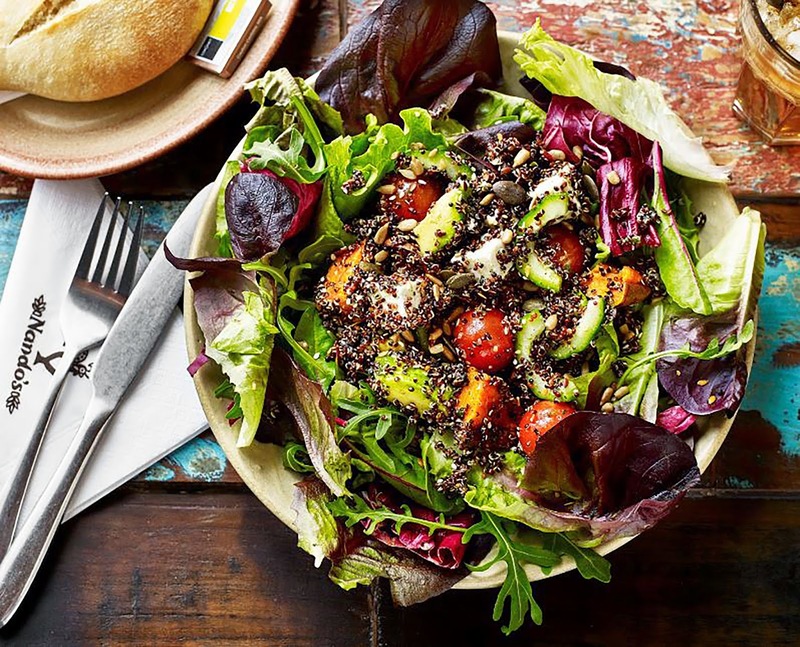 They promise it's their crunchiest slaw ever and it features fresh spring greens, beetroot and carrot mixed in a lightly spiced yogurt dressing. Yummy! Next up is something I am very excited about, the Quinoa Salad. I absolutely love quinoa and it's not often you can find it at restaurants.This salad has sweet potato, avocado slices and feta cheese on a bed of crispy lettuce leaves and of course some quinoa on top. Last but not least is something I know I'll become even more addicted to than I am to Nando's creamy mash (who knew potato's could taste so good)! 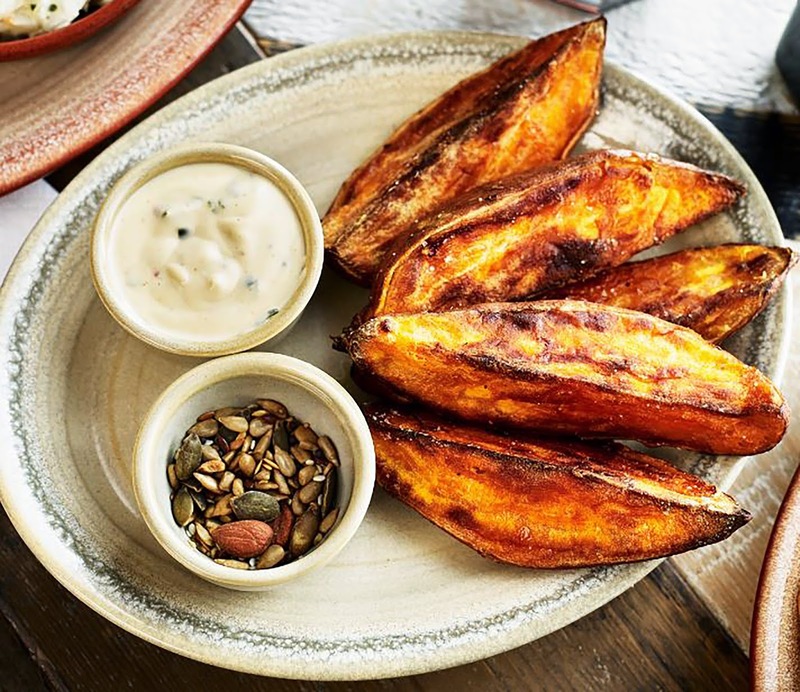 These five sweet potato wedges come with a creamy coriander dip, and roasted seeds. I'm a huge lover of sweet potato and I cannot wait to try these out. 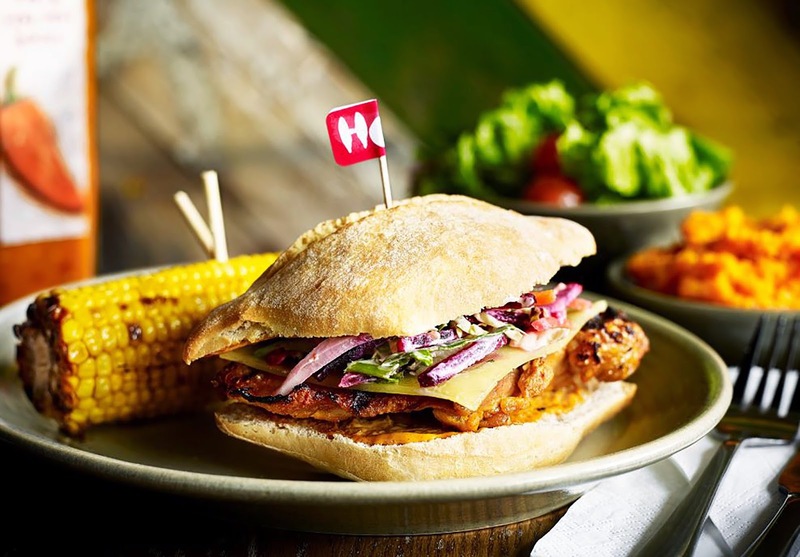 Are you a lover of Nando's? Which new dish are you much excited to try?